After having just returned home from 2.5 month away, we obviously didn't have many groceries in the house. 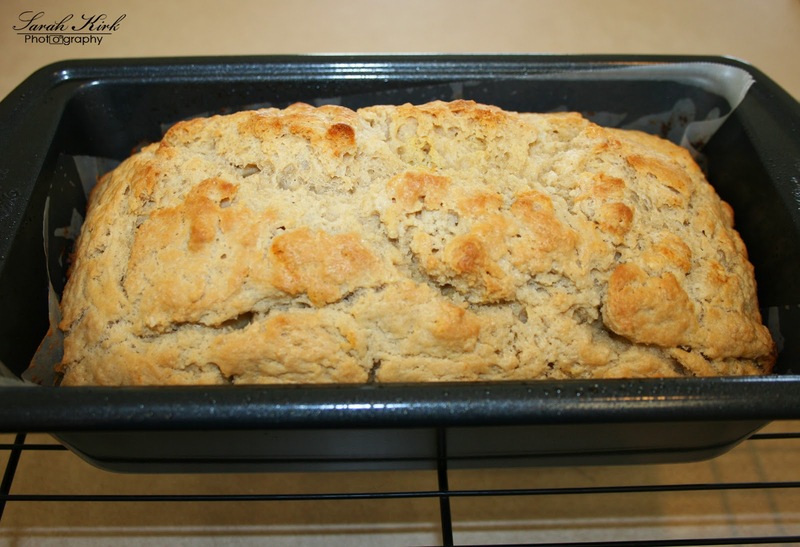 Sure, we had a few "basics" but not much out of which to make a yummy homemade treat. We pretty much had spices, flour, coffee, a smidge of sugar, beer and jalapenos. All things that won't spoil while we were gone. What, oh what, can I make with THAT??? Honey Beer Bread. That's what. Homemade goodness with barely any ingredients? YES! 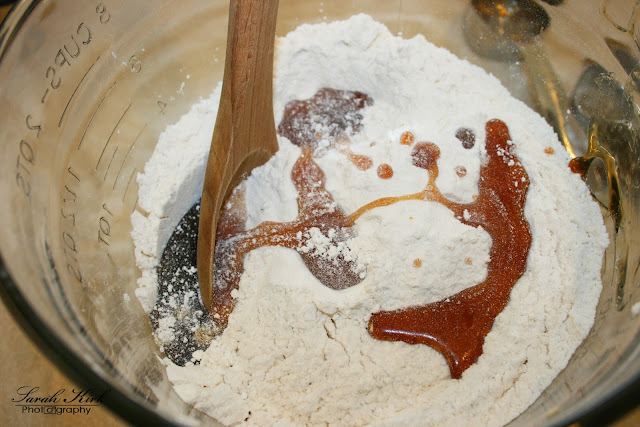 This recipe doesn't call for self-rising flour or yeast for one reason: beer has yeast! 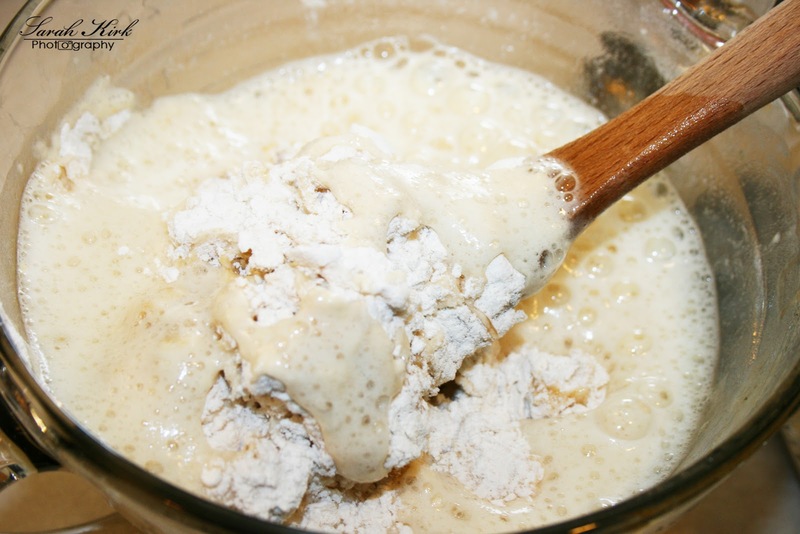 The beer is our leavening agent...and a tasty one at that. Make sure you cook with one that you would actually enjoy drinking. 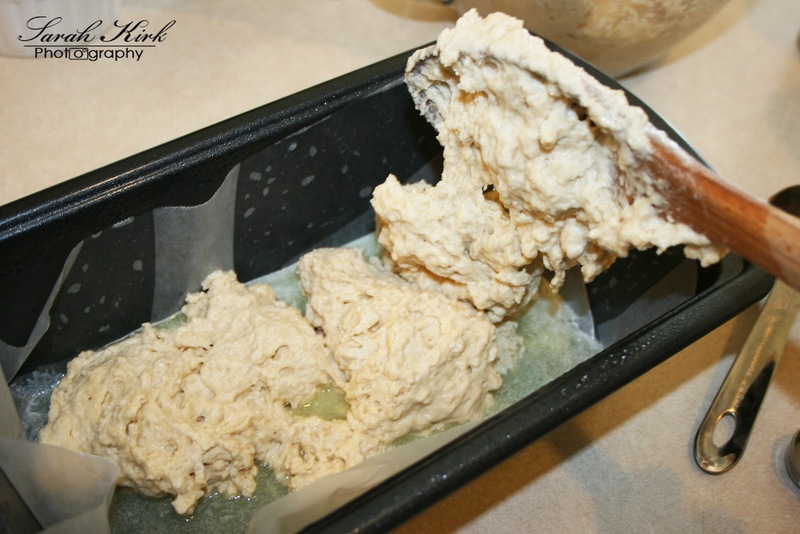 Don't buy the cheapest one you can find because, if you don't like the taste of the beer alone, chances are it will hinder the tastiness of your bread. 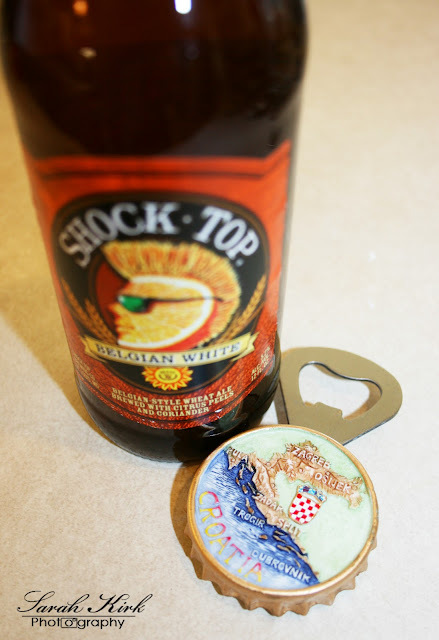 I used ShockTop because a) it's yummy and b) I thought it's hint of citrus would be a nice additional flavour. Servings: depends on your will power! Preheat over to 350F. 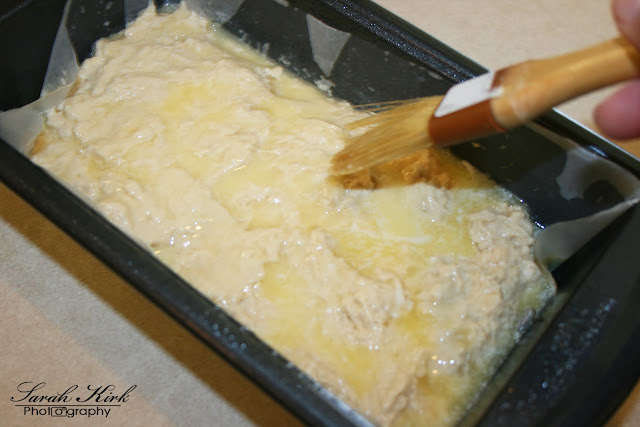 Grease a 9″x5″x3″ loaf pan. Line the bottom of the pan with parchment paper. Set aside. When baking, always measure precisely. 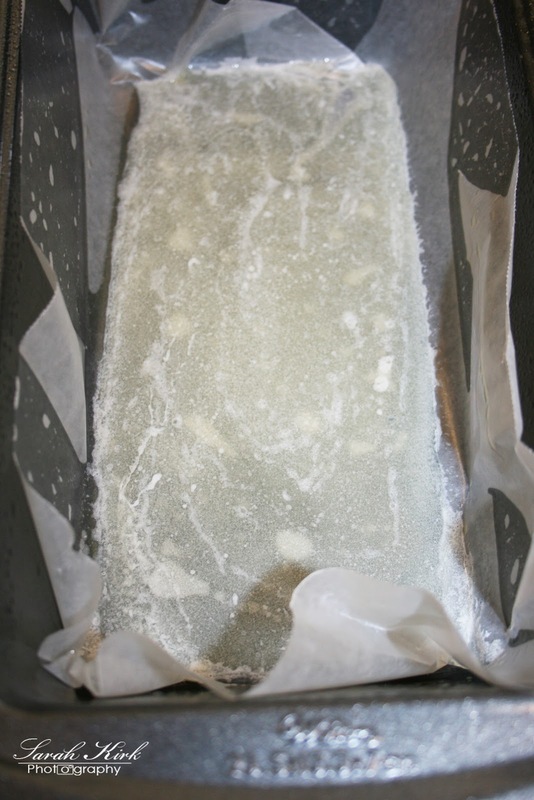 Cooking is different and experiments can take place. But baking is more of a science and it is really important to make sure your ingredients are measured well. 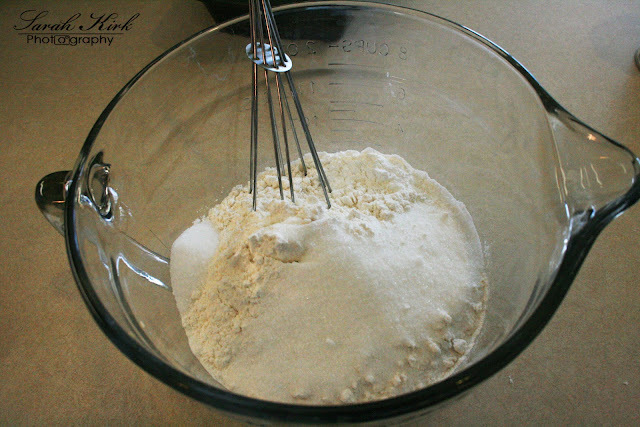 In a medium bowl, whisk together the flour, sugar, baking powder and salt. Another tip: when measuring flour for baking, always scoop it with a spoon and pour into your measuring cup. Then flatten with the straight end of a knife. 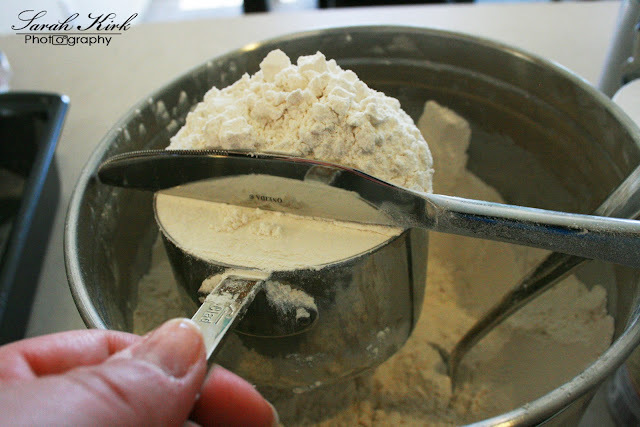 If you simply scoop the flour directly into your measuring cup, it will be too compact and you will end up with too much flour...making your recipe dense. 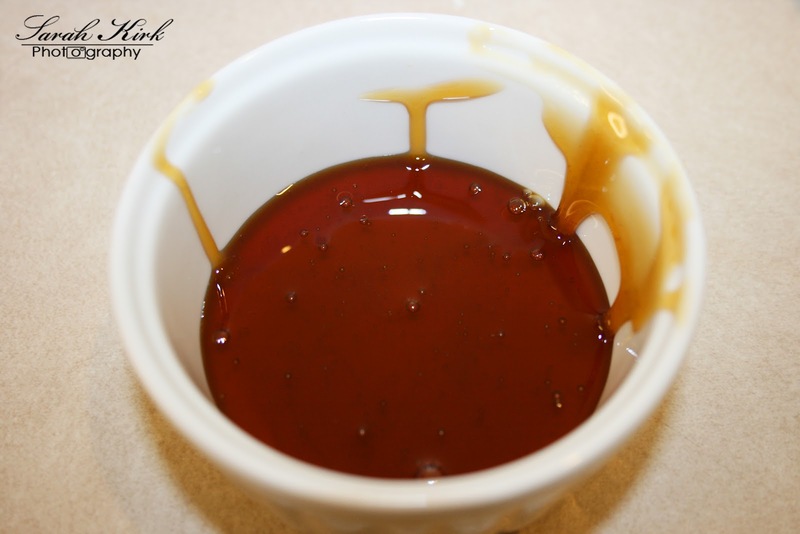 Measure your honey into a small microwavable bowl and microwave for about 5-10 seconds. 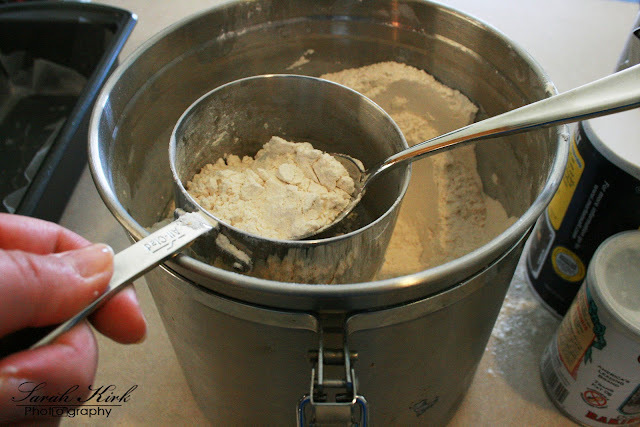 This will make it easier to work with and mix into your dough. 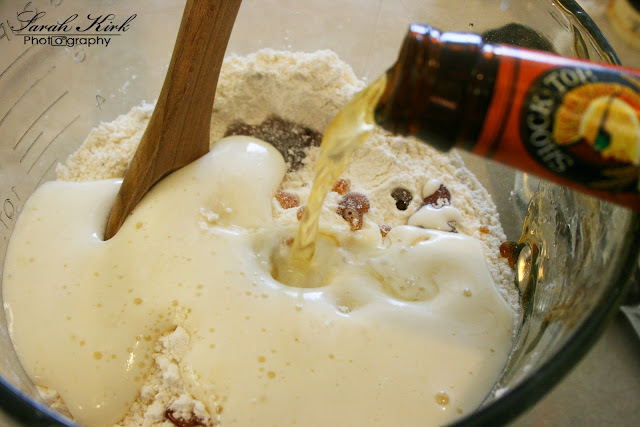 Pour the heated honey and the beer into the dry mixture. 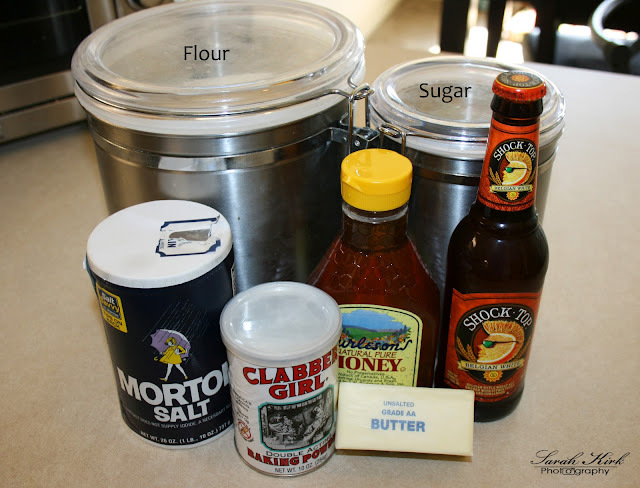 Using a wooden spoon, stir the beer and honey into the dry ingredients until just mixed. 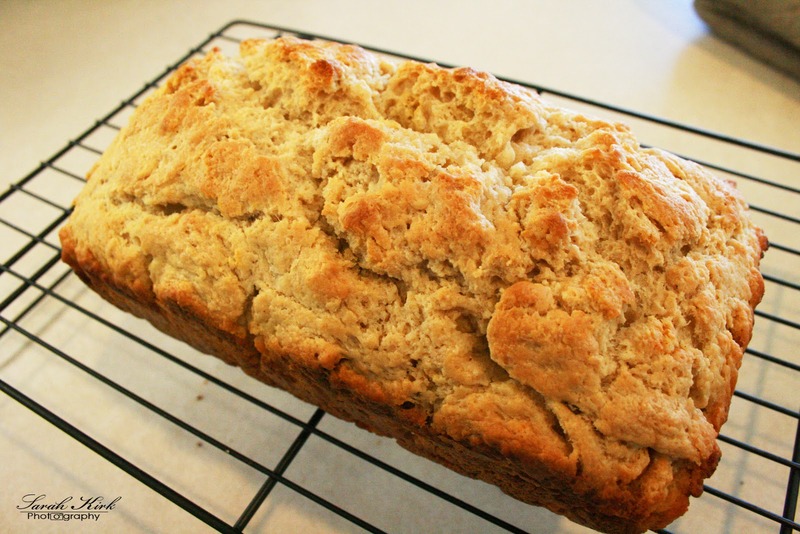 Don't over-mix, or your bread might turn out tough instead of fluffy. Melt the butter. Pour half into the bottom of the loaf pan. Spoon the batter into the pan, making sure its fairly evenly spread out. It doesn't have to be perfect. 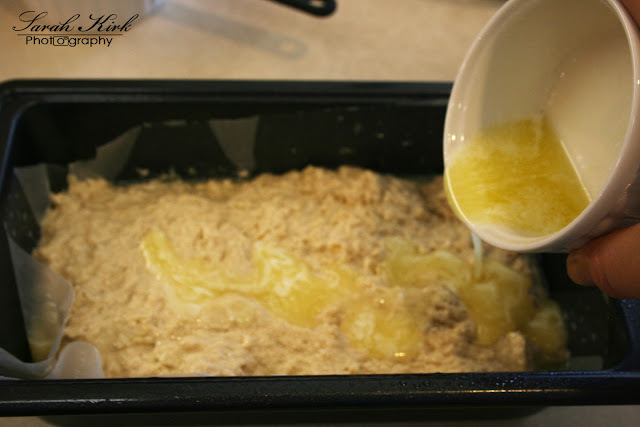 Pour the rest of the butter on top of the batter and use a pastry brush to spread it around. 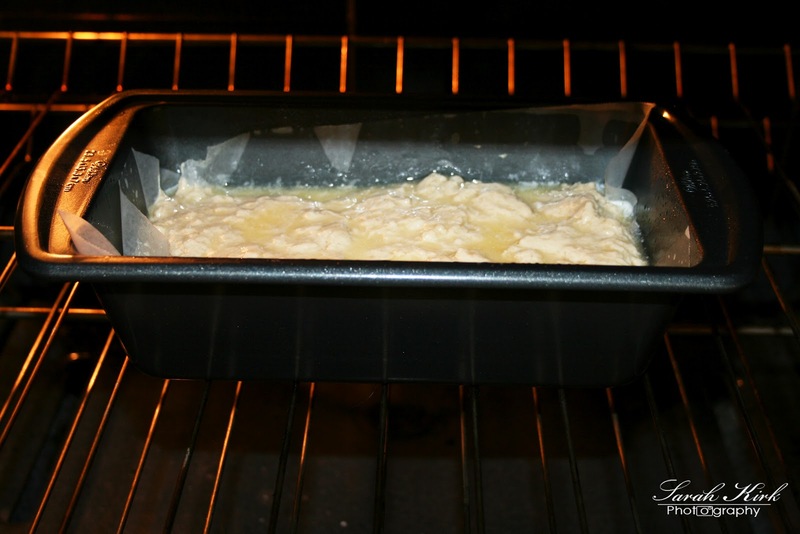 Bake for 50 to 60 minutes. It will make your home smell yummy!! Bake until the top is golden brown and a toothpick/knife inserted in the middle comes out clean. Enjoy! I served mine with homemade BBQ meatballs and salad. SUCH a good dinner! But this bread could also be served for breakfast, lunch, dinner, snack...yes, it's THAT good. I made this tonight and Micah couldn't stop talking about how much he loved it :). Thank for sharing!